At The LaPorte Law Firm, our mission is to provide exceptional and compassionate legal representation that caters to the individual needs of our clients. We understand the devastation that an accident or illness can have on you and your family. Unlike some national firms, we take a personal interest in every client and his or her unique situation. At The LaPorte Law Firm, our clients are more than just case numbers; we are a local firm that cares about our clients, always treating them like human beings and giving them the personal attention they need to succeed. Our familiarity with the local offices and procedures of the Social Security Administration in the San Francisco Bay Area, Northern California and Hawaii, has helped over ten thousand clients win SSDI and SSI benefits. Our success is based not only on our strong advocacy skills, but our commitment to be to be personally available to each individual client, to promptly return phone calls, and to regularly inform clients of developments in their cases. CALL US TODAY AT 800-735-3425 TO SCHEDULE A FREE INITIAL CONSULTATION. The LaPorte Law Firm practices exclusively in Social Security disability law. We have successfully represented thousands of individuals in Social Security Disability Insurance (SSDI) and Supplemental Security Income (SSI) appeals. At LaPorte Law Firm, we understand that the process of applying for disability and Social Security benefits can often be overwhelming and unsuccessful on your own, especially when you are already hurting physically, psychologically and financially. That's why we are here to take care of everything, from your application to your hearing and everything in between. Disability Application Assistance To ensure you get the most out of your disability benefits, you need a partner you can trust to help you avoid errors and properly complete the application process. We are that partner, and the sooner you call us, the sooner you can say goodbye to the complexities and confusion associated with filing for disability. At The LaPorte Law Firm, we only receive a fee if you win your case, so you have nothing to lose. We are with you every step of the way. Disability Appeals Assistance Has your claim been denied by Social Security? If so, you should know you have a strict time limit to file an appeal, which can be a long and tedious process. The LaPorte Law Firm is here to help, with a team of experts that can simplify your appeal and get you back on the road to physical and financial recovery. Do you already have a Social Security hearing scheduled? If so, you are strongly advised to obtain legal representation before the hearing in order to prepare testimony, minimize risk, question witnesses and cross-examine medical and vocational experts. If you are in need of a Social Security disability lawyer, look no further. With over 30 years of experience representing Social Security disability claimants, the LaPorte Law Firm understands the devastating effects that an injury or illness can have on our clients and their families. We understand how loss of the ability to work can impact a client's physical, psychological and financial well-being. That's why at the LaPorte Law Firm, every client is treated with compassion, kindness and respect. Terry LaPorte has dedicated his legal career to representing individuals in Social Security Disability claims and appeals. After receiving his J.D in 1979 from Santa Clara University School of Law, he developed an expertise in Social Security Disability law. 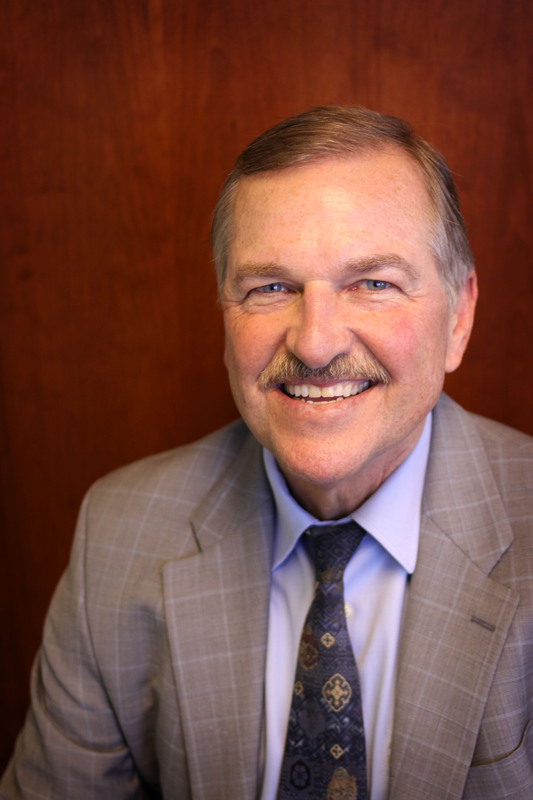 In 1982, he established the LaPorte Law Firm, a Northern California based law firm that specializes exclusively in the area of Social Security Disability law. For over thirty years, Mr. LaPorte and his law firm have represented thousands of individuals in SSI and SSDI disability appeals in California and the Western States. Mr. LaPorte attained the National Board of Legal Specialty Certification and serves on the Board of Examiners, National Board of Trial Advocacy. He is a sustaining member of the National Organization of Social Security Claimants' Representatives (NOSSCR), a provider attorney to the American Association of Retired Persons (AARP), and a seven-time Chair of the Social Security Section, Santa Clara County Bar Association. He has served as a lecturer on disability law for the Continuing Education Program of the California Bar Association and for many community, legal and support organizations. Mr. LaPorte was named a top Northern California attorney in Super Lawyer, and has received a Certificate of Recognition from the California State Assembly. Mr. LaPorte has also received numerous awards for his commitment to the individuals with disabilities and others in need in our community. Mr. LaPorte was bestowed the prestigious 2013 "Client Distinction Award" by Martindale-Hubbell and Lawyers.com. Fewer than 4% of over 900,000 attorneys listed on Martindale.com and Lawyers.com have been awarded this honor of distinction. He was the 2011 Recipient of the Santa Clara County Bar Association Pro Bono Services Award. He was the recipient of the Philip J. Berelson Award for Generous Philanthropy in 2004, bestowed by the Law Foundation of Silicon Valley. The National Multiple Sclerosis Society honored him as the Chapter Programs Partner of the Year and he has been named the Social Security Attorney of the Year. He was awarded the Community Service Award by the Santa Cruz County Trial Lawyers' Association. Mr. LaPorte's dedication to the disabled has been acknowledged by the California State Bar's Consumer Business Review, the Santa Clara County Bar Association and the Pro Bono Project of Santa Clara County. Anne LaPorte received her law degree from the University of Oregon School of Law in 2010. She is admitted to practice law in the State of California. Anne joined the LaPorte Law Firm in 2011 and is based in the San Jose, Burlingame and Oakland offices. Since 2011, her practice has focused exclusively on Social Security disability claims and appeals. She attends specialized training conferences sponsored by the National Organization of Social Security Claimants' Representatives and has represented many clients at Social Security appeals hearings throughout Northern California. She feels blessed to be able to assist our clients in navigating the disability claims process and strives to do so in a compassionate and attentive manner. 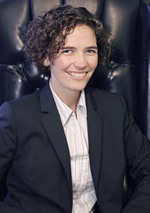 Maria Miranda-Hammon joined the firm in 1994. She is an experienced and dedicated Social Security legal representative. She is deeply committed to achieving a successful outcome for every client. 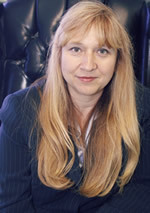 Maria specializes in the representation of claimants with SSI and SSA disability claims and appeals at Social Security hearing offices and district offices. Maria continues to expand her knowledge and experience through research and seminars offered by the Santa Clara County Bar Association, the National Organization of Social Security Claimants' Representatives (NOSSCR) and the Annual 9th Circuit Conference for experienced Social Security practitioners. Maria's vast litigation support experience and knowledge of computer graphic software is used extensively within the law firm in preparing documentation presentations and conference materials. Maria's expertise includes the use of electronic filing software. With a fully integrated bicultural background, Maria has represented many monolingual Spanish speaker claimants in our San Jose, Oakland, San Francisco, Salinas and Monterey area offices. Kevin LaPorte received his JD from the University of San Francisco Law School where he was also awarded an International and Comparative Law Certificate with Honors. He is admitted to practice law in California. Mr. LaPorte is a member of the National Organization of Social Security Claimants' Representatives (NOSSCR), and has received specialized training in Social Security disability law at national NOSSCR conferences. Before joining the firm, Mr. LaPorte's practice focused on international criminal law and human rights. He served as Assistant Attorney to the International Civil Parties in the trial of former Khmer Rouge leaders in Cambodia. This trial was conducted as a joint enterprise between the United Nations and the Cambodian government, and involved the drafting of closing statements in the historical trial of former Khmer Rouge leaders, along with conducting fact gathering missions for the crime of genocide. He also worked for the United Nations in The Hague, Netherlands at the International Criminal Tribunal for the former Yugoslavia (ICTY), which involved the criminal trial of a former General accused of genocide and war crimes. Mr. LaPorte's experience helping victims of human rights abuses inspired him to help individuals closer to home who are suffering from disabling illnesses and injuries. His background in human rights laws gives him a unique perspective in representing clients whose disabling conditions prevent them from being able to work. His practice focuses on representing clients in Northern California in the Social Security claims and appeals process. Mr. LaPorte represents clients in our Oakland, San Francisco, Burlingame and San Jose Offices.